Fashion Trends Kalamkari blouse designs that will leave you awestruck! The timeless kalamkari is usually done on organic fabrics like cotton or silk and they never go out of style. 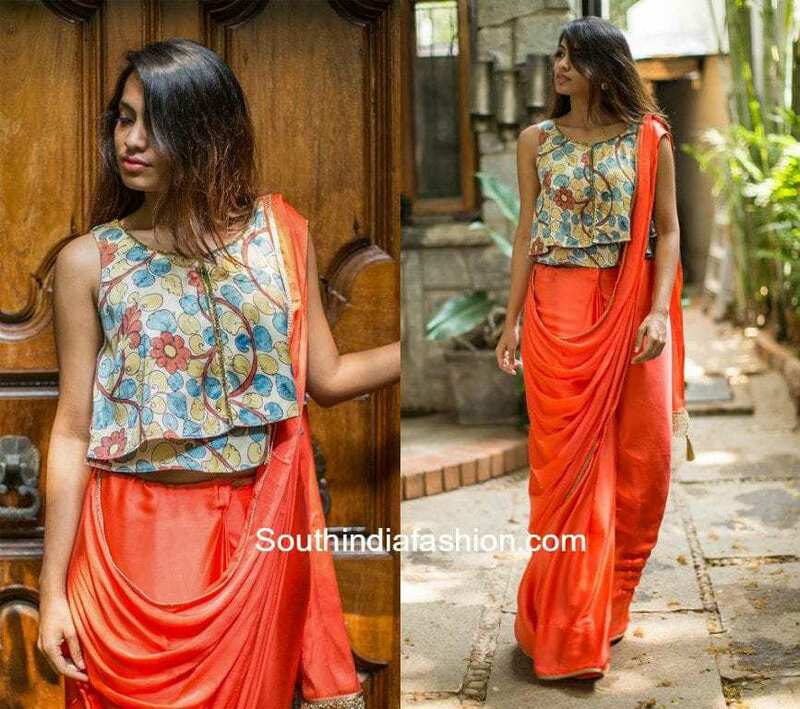 Like we always say, a blouse can change the whole concept of a saree and what better way than to add statement with a kalamkari blouse?! 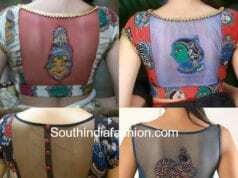 The Indian art is highly appreciated in the fashion world and for its breathtaking beauty and versatility. 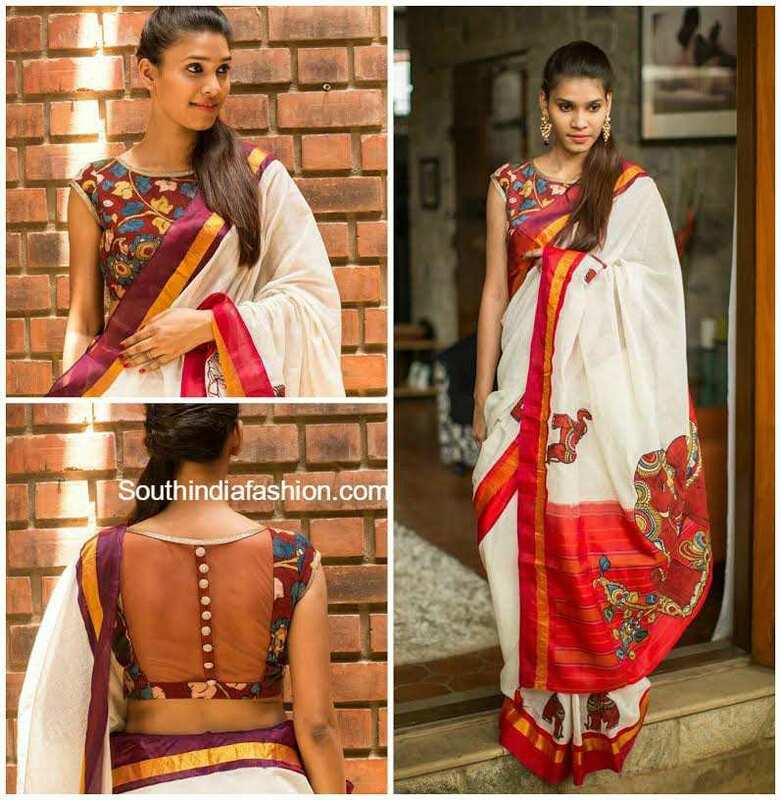 Be it handloom, kanjeevaram, cotton or a georgette saree, a kalamkari blouse blends well with all of them. 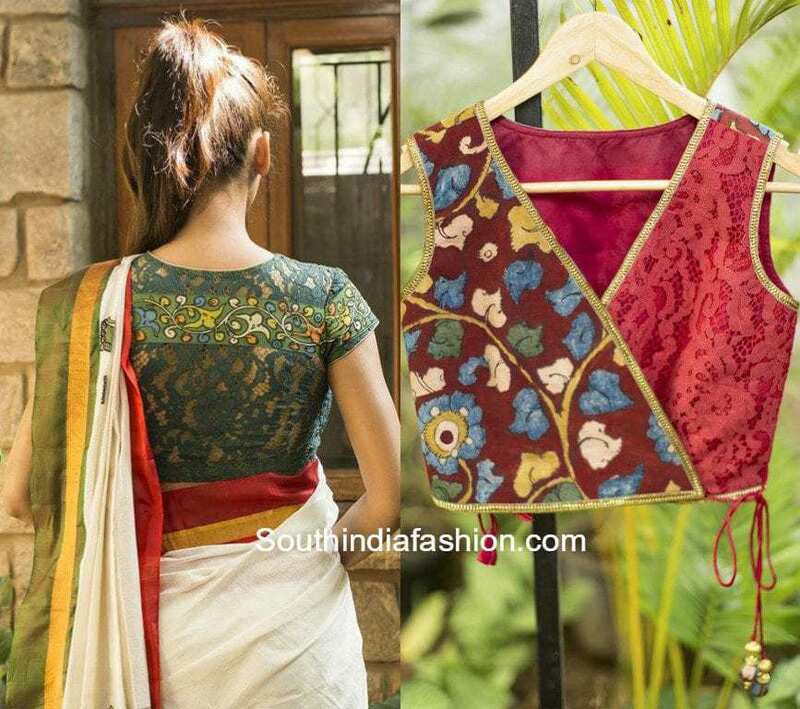 Today we bring you some gorgeous kalamkari blouse designs that will leave you awestruck. 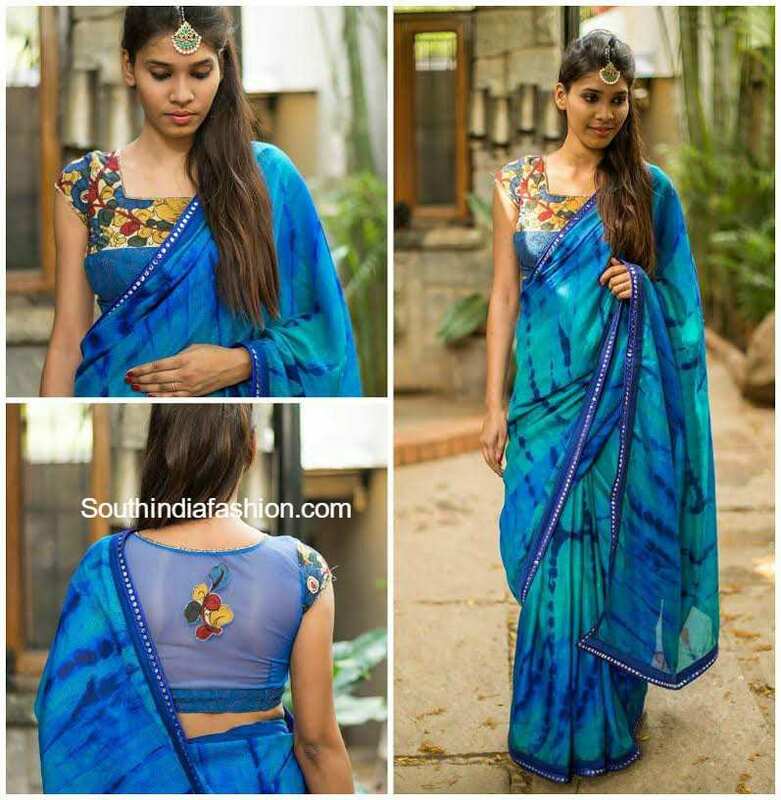 Team up your plain sarees with a contrast kalamkari blouse to complete your desi look. The vegetable dyed fabric comes with a variety of neutral shaded prints making it easier to match with most of your outfits. 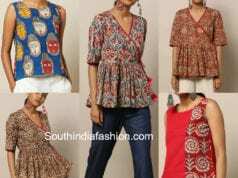 Mix up kalamkari prints with trendy lace fabrics or ikkat fabrics for a contemporary twist. Sheer boat necks, back necks or even small patches of the kalamkari fabric has the ability to make a statement. Customize fusion cropped tops out of kalamkari fabrics and wear it with many different outfits for a new look. 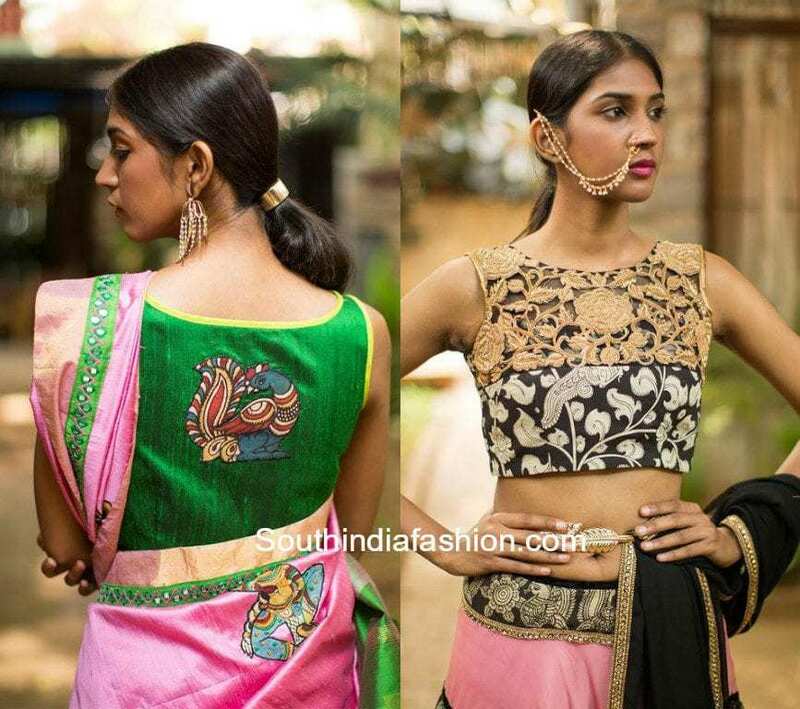 You can experiment your trendy kalamkari blouses on lehengas, palazzos and such. Play with fabrics, textures, highlight it with delicate thread embroidery or cutwork embroidery. You can also go for deep back necks with tassels, cut outs or a strand of buttons to make it stand out. 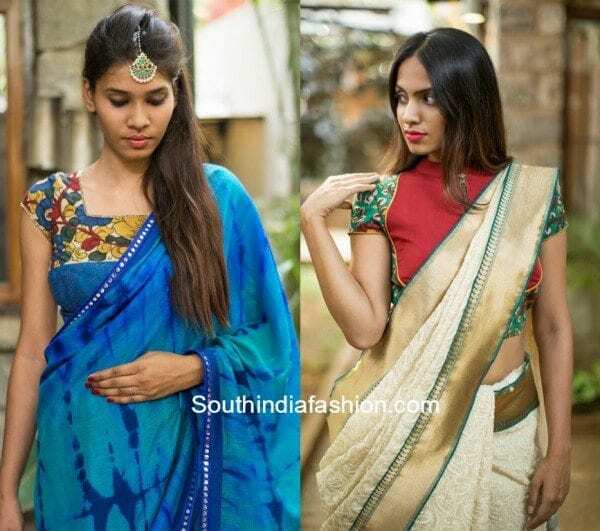 Find these beautiful Kalamkari blouses readily available in the pre-designed ‘Ready To Shop’ collection at House of Blouse. Or custom design your own, using beautiful sheer fabrics, on their easy to use STYLE CREATOR on Houseofblouse.com!! 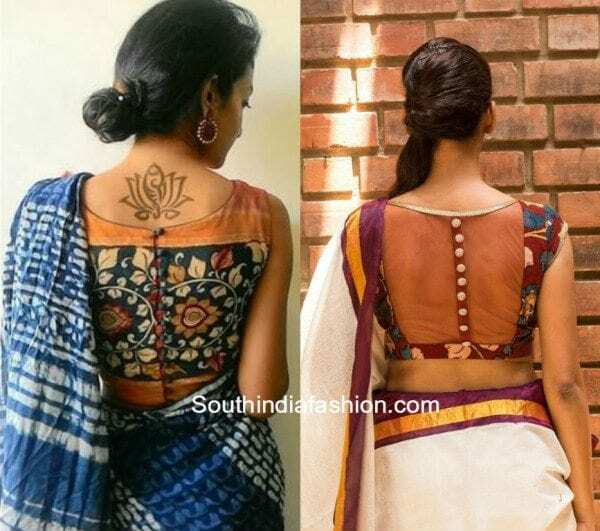 8 Super Pretty Kalamkari Blouse Designs! 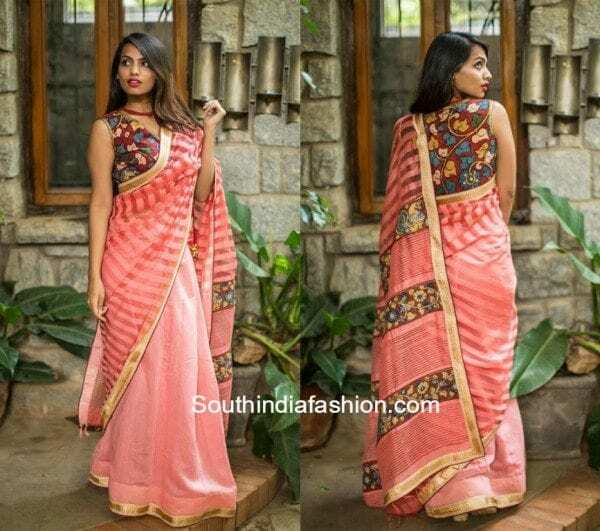 The first picture showing peach color saree with kalamkari blouse is awesome. If I want to buy the same, is it available for purchase? If so, can I get the details?